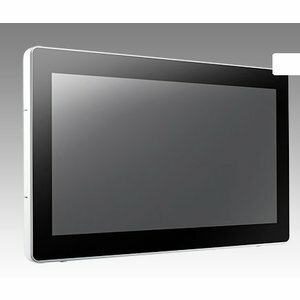 Robuuste Panel PC - Windows - IP65 - Compact design. UTC-315 is the multi-purpose all-in-one computing system which equipped with wide format, touch based LCD panel. It is easy to integrate key peripherals and display systems for diversified self-service and interactive signage deploy in different application areas. With the removable frame, the system also could fulfill industries or control system applications with panel mounting design. UTC series touch panel computers are the best investments to enhance user satisfaction, further brand equity, and maximize business profits.